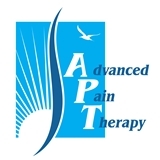 Advanced Pain Therapy, LLC (Morristown) - Book Appointment Online! Dr is top doc. Very professional and caring. Took time to explain diagnosis and treatment options. Wonderful front desk.